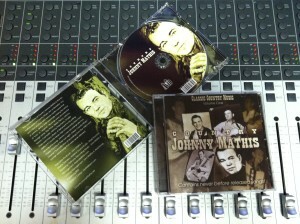 This entry was posted in New Releases and tagged CD on October 22, 2013 by John Mathis Jr. This week launched the digital release of Classic Country Music, Vol. 1 by Country Johnny Mathis. It’s now available on iTunes with a CD offering to follow soon! This release contains songs from the 1960′s never before released! This entry was posted in New Releases and tagged Classic Country on October 18, 2013 by John Mathis Jr.
A 12 song preview is available on YouTube of the new ‘Classic Country Music, Vol 1′ by Country Johnny Mathis releasing Tuesday, Oct 15, 2013 via all major digital outlets. This project features recordings by Johnny from the 1960′s with some never before released material. Take a listen! Classic Country Music at its very best! This entry was posted in New Releases and tagged Classic Country, classic country music on October 11, 2013 by John Mathis Jr. This entry was posted in Radio and tagged classic country music, radio on October 9, 2013 by John Mathis Jr.